Do you find it hard to stick to your diet or exercise plan after a while? Have you ever been committed to losing weight in the past but fallen short? 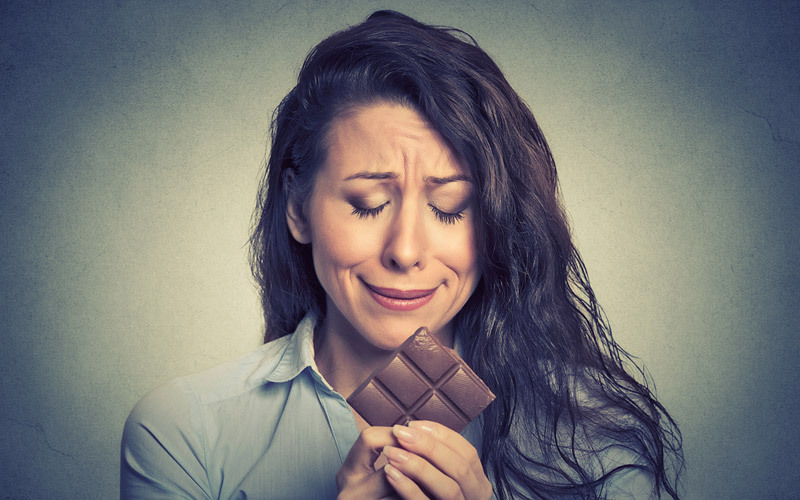 It’s a phenomenon called “Decision Fatigue”[study 2] and it’s preventing you from making healthy decisions (even though you want to). Hi, I’m Kevin McMillian, and..
I’m going to tell you why getting a six pack was a complete waste of my time. No beer. No chips. No bread. Yes spinach. Yes eggs. Yes bacon (not complaining about this one). You don’t need to go on another low carb diet. You don’t need to workout every single day. You don’t need to do hours of cardio. 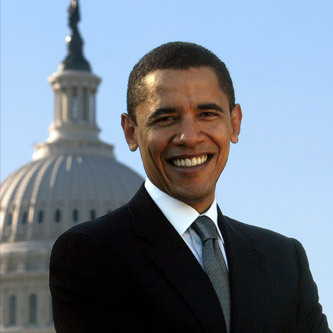 In fact, all you have to do is follow a proven system and STAY CONSISTENT. And no, the banana is not upside-down. 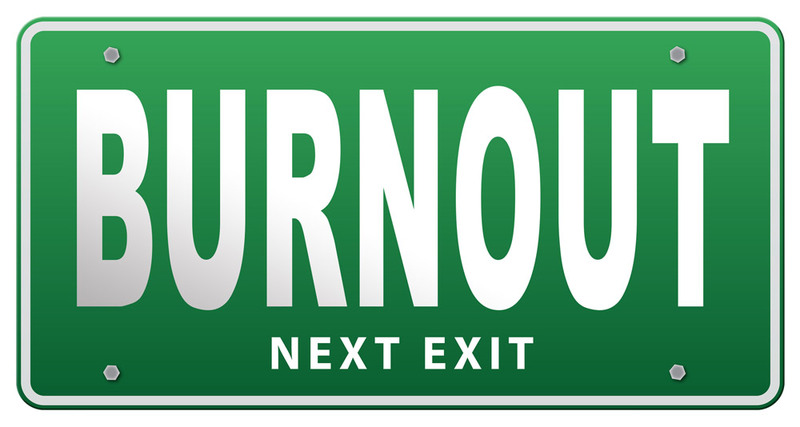 LAW #1 – Consume less energy (calories) than you burn. LAW #2 – Don’t screw up your hormones following an extreme diet. LAW #3 – Stay consistent to see long term results. 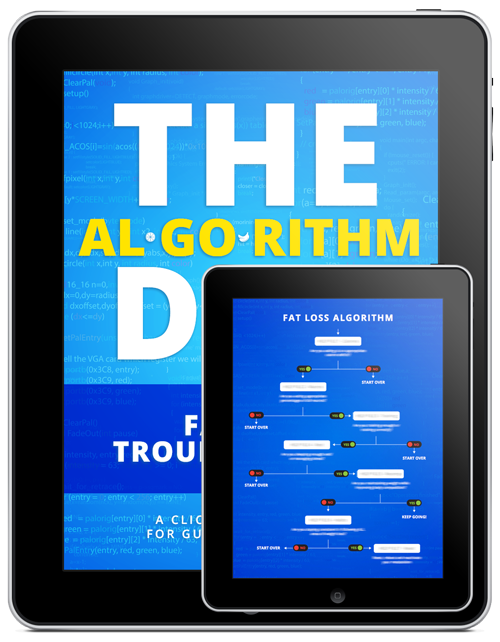 The Algorithm Diet is the most simple, natural, mind-free, and willpower-free way to lose weight in existence. 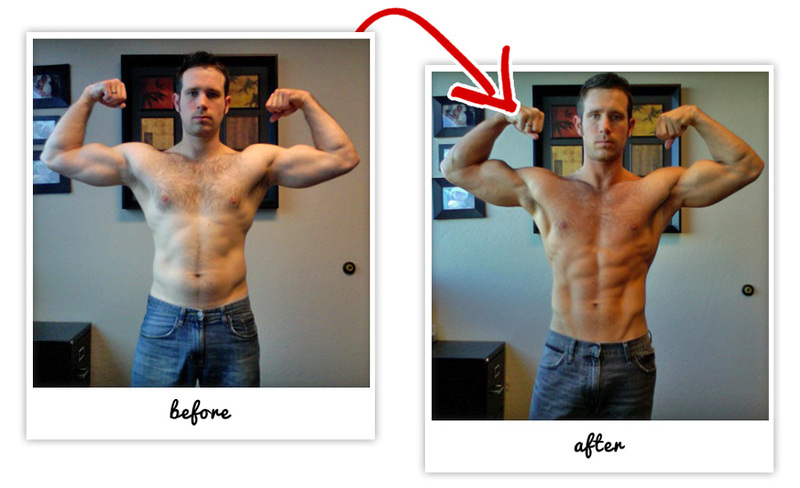 The single, fastest way to lose belly fat and to see results is to follow this formula (guaranteed to work for you). Dropping carbs and eating large amounts of protein is the only way to lose weight fast, right? Wrong! You'll see what really works. If you can spare 2 hours a WEEK, that's all you'll need to sculpt hard, lean, fat-burning muscle. How to rest your body, brain and soul the right way so that you continue losing weight and stay motivated. The truth about fat loss VS weight loss and the 6 questions you must be asking yourself. The truth about staying consistent and seeing results - It all comes back to your daily habits. What you should NEVER do if you stop losing weight OR reach a plateau that seems impossible to break through... and how to start seeing results again. How a 37 year old husband and father of two was able to get ripped for a family vacation while still taking his kids out to pizza, drinking beer and working overtime at his desk job. Why following this proven and simple “eating rhythm” can release fat cells from stubborn body parts and improve mental clarity… follow this rhythm and weight loss is a BREEZE. How one of the world’s most effective breathing techniques can calm your mind and flood your body with fat-incinerating hormones… it only takes 21 seconds and can be done anywhere. What every husband, wife, father, and mother needs to know about this simple “calorie-swap technique” in order to eat what everyone else is eating and still lose weight consistently. How this “specific dietary practice” prevented previous generations from gaining weight and simultaneously reduced their risk of cardiovascular disease… and it’s been proven by modern science to work for weight loss. 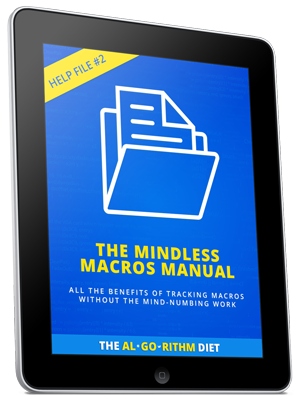 Why making this one, simple “mindset-shift” will guarantee your success and make losing weight natural. The #1 biggest mistake people make when starting a diet after having tried to lose weight in the past… if you want to be able to keep the weight off, NEVER do this. Why traditional “fat loss workouts” are preventing you from losing weight and what you should actually be doing if you want to lose weight and keep it off. HINT: working out while on a diet changes everything. How a study of 1,024 people shows us exactly how to naturally fight off bad cravings and boost our body’s #1 fat burning hormone by simply improving one thing we already do everyday. 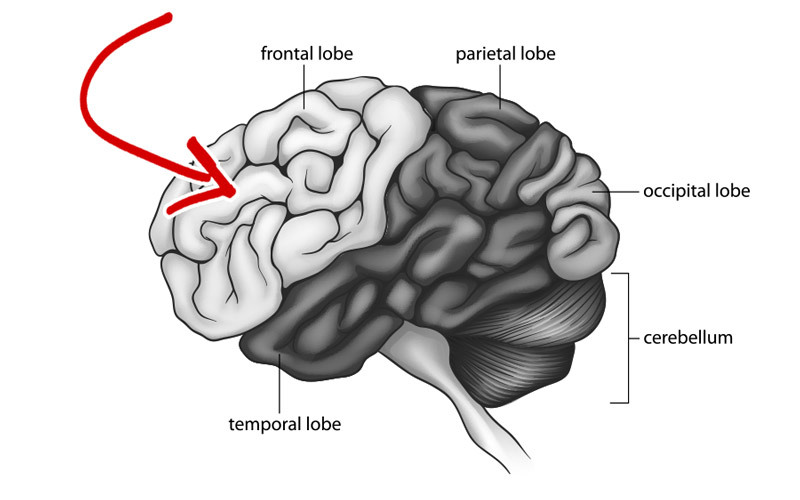 The reason extreme diets and “insane” workouts NEVER work long-term and the key ingredient they’re missing for lasting weight loss. An exact outline of my day and what I do to create predictable fat loss that is not only easy to measure, but easy to see in the mirror. A blueprint that allows you to eat whatever foods you want and still lose fat everyday… as long as you don’t go to an extreme, this works every time. 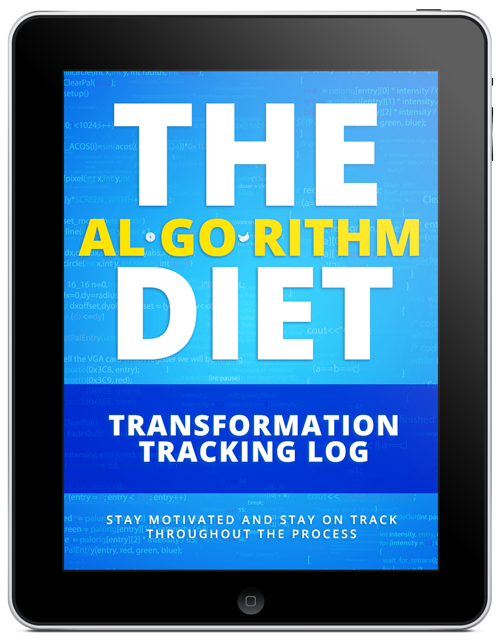 Although that certainly isn’t everything you’re going to get from The Algorithm Diet, I still want to provide you with even more value. ... so, what's the catch? To be fair, I was (and still am) planning on selling this complete system for much more than $37. This system has taken me YEARS to perfect and almost a full year to put together. But… because this is the first time that I’m making this available to the public, I decided to sell the entire system for only $37. 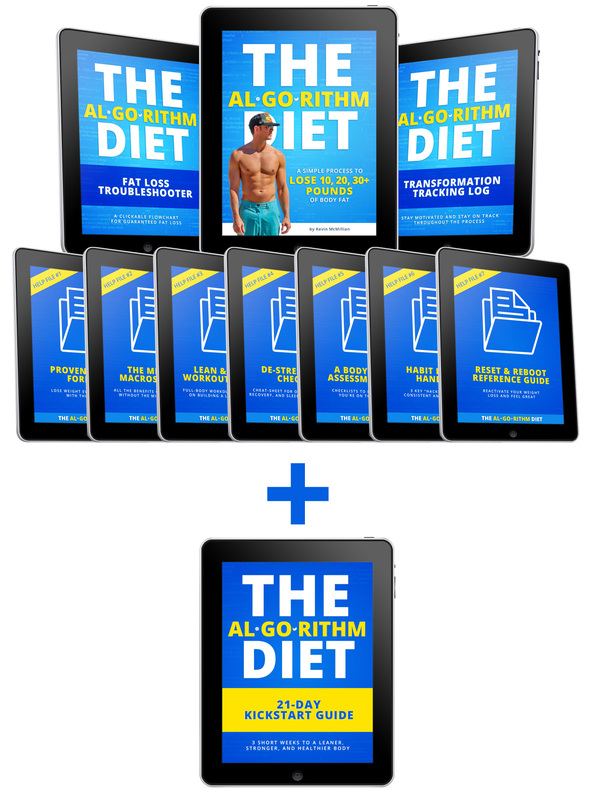 You see, I want EVERYONE to experience the easiest, most simple and natural weight loss system ever… and I’m planning to have over 100 (voluntary) testimonials and transformation stories to share. Also, I figure once you get amazing results, you’ll tell your friends. Deal? I can honestly guarantee that it will work for you. Literally. If for whatever reason (even if that reason is that you don’t follow the plan) I’ll give you all of your money back, no questions asked. ZERO strings attached. All you have to do is send me one email that says “please refund my money” and I will. I won’t ask why. In fact, you can still keep the entire program. I’ve seen it happen COUNTLESS times and I have even experienced it myself. Crash dieting doesn’t work. We all know it. 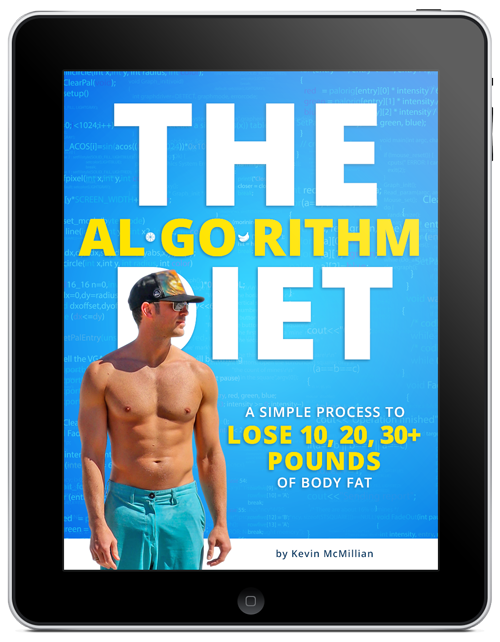 I’ll be 100% real with you… The Algorithm Diet really is not for everyone. If you’re expecting this to be a quick-fix… a crash diet to drop 20 pounds in week… a magic pill… and will require absolutely zero effort on your part… this diet is not for you. There’s a reason so many people are overweight. And there’s a reason some regain weight almost immediately after losing it. Everybody wants the magic pill but it doesn’t exist. Crash dieting and crazy workout schemes will only leave you burnt out, unmotivated and depressed… especially when you gain all of the weight back. OK, What Will You Choose? P.P.S. 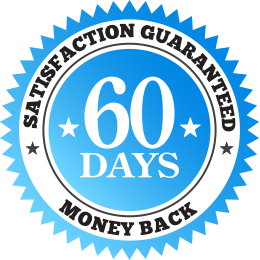 And don’t forget, you’re backed by my REAL 60-day money back guarantee. You really do have nothing to lose but the weight. All the risk is on me. If it doesn’t work for you or if you just don’t like the font I use in the program – all you have to do is shoot me an email and I’ll refund ALL of your money. Don’t put off the freedom, confidence and self-respect you’ll have by leaning down and being fit. Why wait any longer? For less than the price of taking your family to McDonald’s, you can start your path to feeling (and looking) great again. Click here to start right now for only $37. I’m over 50 years old, will it still work? Do I have to eat a specific meal plan? Are there any supplements I will need to buy? There are ZERO supplements required. 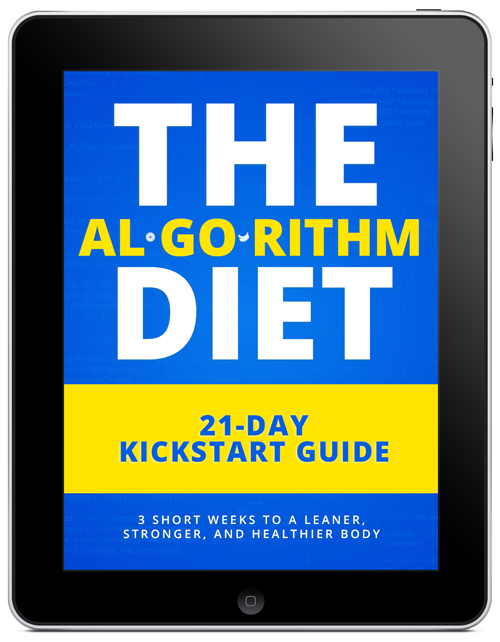 If you have supplements that you like to take, that’s fine, but there are no supplements required in The Algorithm Diet. I’m vegetarian, can I follow it? Yes. The program is vegetarian-friendly. You choose what you eat. If a diet tries to change what you eat, it simply won’t work long term. How fast will I get access to the program once I buy? Pretty darn quick! Honestly, could be anywhere between 5 seconds and a couple of minutes. The entire program is digital and once you’ve completed the purchase you will get access to immediately download the entire program. I don’t live in the US, can I still buy? Yes, absolutely. As long as you can read and understand English, you’re good-to-go! If the program doesn’t work for you all you have to do is send me an email and you’ll receive a 100% refund. Zero questions asked. 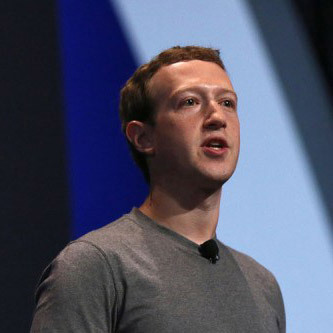 In fact, even if it does work for but you still don’t like it… I’ll refund your money. I truly want you to be happy with your purchase.